As a perfectionist, you delight in investing time and effort into your projects, only delivering work that you deemed is as perfect as possible. Due to your high standards, you will have an easier time meeting the expectations of your clients; they will be impressed by your professionalism and work ethic, which in the long run will likely result in more business for you. In addition, perfectionism translates to the way you handle your clients and business — where you focus on making them feel as appreciated and valued as possible. As such, there’s actually nothing wrong with wanting to achieve excellence. However, the uglier side of perfectionism is that there is often a fear that things won’t go exactly the way you imagine — which is inevitable as you take on more projects and work with different clients. 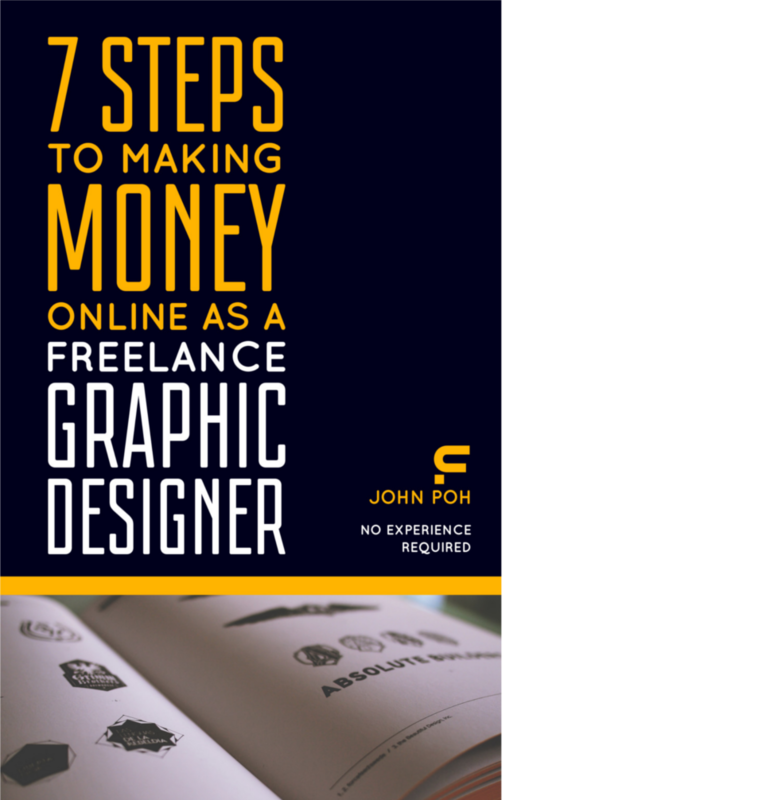 There are many things that aren’t within your control as a freelance graphic designer. A client might delay payment or stop communicating with you altogether; your workstation might die all of a sudden, causing you to lose a week’s worth of work. While others will accept such situations and move on, you as a perfectionist are more likely to quit altogether. At the same time, you tend to procrastinate as you’re always waiting for the right conditions before doing any work. When you do work on a project, you find yourself putting in too much effort — more than what is required. You keep searching for any flaws that can be improved on, when the time and energy can be spent doing something more productive. In the end, you become less efficient and effective, and as you know, time is money. Approaching graphic design in such a way is an exercise in frustration; you keep spending time making things right, even with deadlines approaching. Such stress will lead to mental and physical exhaustion — and eventually health problems. Furthermore, you’re more likely to miss deadlines if you keep getting hung up on the details — something that the client isn’t going to appreciate. More importantly, they aren’t going to pay more just because everything is done perfectly. A project is usually about meeting specified goals and objectives, and not so much about aesthetics. And even when a project is completed successfully, you’re still marred by the guilt that you could have done better. Nothing is ever really good enough, and such a perception will lower your self-confidence as a graphic designer. As a result, you’re more likely to charge much lesser than you’re worth, and skip high-profile projects even though you have the skills necessary to meet the client’s needs. Also, relationships are likely to be damaged as you waste much of your time and energy in the pursuit of perfection. In the worst case scenario, your loved ones will leave as they’re no longer able to take the pressure of your impatience and intolerance, and over time you will find yourself isolated from the rest of the world. In short, striving for too much perfection negatively affects your well-being and prevents you from enjoying the freedom that comes with freelancing. If what is described above sounds like you, then it’s recommended that you pick up some techniques here that will help you let go and view a situation in a more relaxed way. The first step is to understand that nobody can ever be perfect. Even the most talented designers will produce bad work from time to time. Recognize that you’re putting in your best effort at that moment, and be content. You can still strive for excellence, but just tone back on your perfectionist tendencies. Perhaps you can set a time limit for a task and move on once that’s done. Oftentimes, you will find that you will achieve as good a result, but without the added stress and frustration. Remember, you can choose how to approach and interpret every situation, especially when it comes to client relationships. Realize that you can’t forcibly change a client’s perception of your work. Instead, learn to manage negative feedback so that both parties can finish the project in a satisfactory manner. Similarly, if you feel like you’re focusing too much on the details, take a break and come back later. It gives you the chance to step back and re-identify the goals and objectives as discussed originally with the client. You can then make sure that your subsequent actions and thoughts are effectively bringing the project to its completion. It might seemed like a waste of time, but even light-hearted activities such as taking a nap can help refresh your motivation. As a perfectionist, the thought of embracing failure might seem repulsive, but it’s actually important to help you grow both as a person and a freelance graphic designer. As the saying goes, failure is the mother of success; you can’t reach your goals without stumbling along the way. Sometimes, you just have to ignore all the doubts in your head and keep moving forward. Stop comparing yourself to other people, and appreciate the progress you have made so far. More importantly, learn to forgive yourself and laugh in the face of failure; freelancing will be much more fun that way. Next, you should identify the priorities for a project and separate them from the lesser details, which you can skip or get back to if you have time to spare. Bear in mind that some aspects of your work don’t actually need to be perfect, while others aren’t actually billable. By focusing on what’s most important, you will be able to get the basic workable version in front of the client quicker, thus speeding up the design process. And chances are, you will forget about the lesser details you skipped once you move on to the next project. As a perfectionist, you probably tend to work linearly, moving on only after you’re finished with whatever you’re doing. Instead, it’s not a bad idea to go with the flow and work on tasks based on whatever you feel like doing at the moment. You will find that such an approach can actually improve your productivity. Don’t get too carried away though — you still need to spend time sending invoices and responding to client emails. Oftentimes, things such as social media can lower your self-confidence and worsen your need for perfection. You should take time to cut these sources of negativity out, while surrounding yourself with people who are living life in a positive, healthy and relaxed way. Ultimately, you need to learn to roll with the punches. As soon as you release yourself from perfectionism, you will find yourself becoming more creative, more productive and much happier. Hopefully the techniques above will help you find the right balance between striving for excellence and letting go.